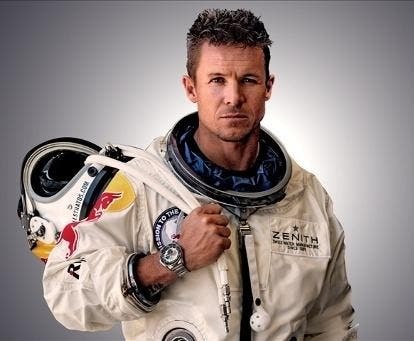 Felix Baumgartner, the supersonic man who jumped from about 40.000 meters above ground is definitely a man up for new thrills and new conquests, so you’d expect him to be all for space exploration. But in a recent interview, he takes the totally opposite stand, claiming that any Mars missions are a waste of money which could be spent better. He went even further, explaining that our curiosity is misplaced. Tricky issue he tackles, and one in which there’s no right or wrong answer, but I’d like to give my two cents on the matter. People often ask what benefit we can take from this or that discovery (like for example how does the LHC help us, or why we build telescopes, etc); it’s not just for the sake of science, though one could argue that’s reason in itself. The answer is we don’t know how it will benefit us, but it’s extremely likely that it will, somehow. Most things we take for granted today, such as X-rays or nuclear energy were absolutely useless when studied in their time. It took decades and decades of more work, but when it paid off, it paid off big. So it’s not a gamble investing in research, it’s a long term investment, one which might benefit us or the generations to come after us. This being said, I’m just curious, if suddenly a manned mission to Mars were made possible and Felix Baumgartner would be offered a seat, would he decline it? My money says no. Another very interesting insight on the matter was published here.